Childrens personalised Christmas Cards - Kids Cards 4 Christmas Register Now! Let your child design their very own Christmas card and in turn raise funds for your School or Nursery. 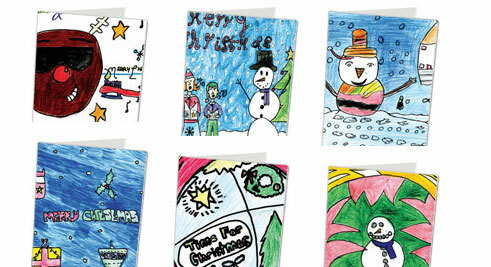 Children design their own Christmas Cards on FREE templates provided by us. It's easy, just follow the simple steps below to get started. Don't forget to Register today to start benefiting. Please use our interactive registration form to register your School or Nursery. Once you have registered, we will automatically send you a template starter pack within 3-4 days. The final deadline for registrations is 25th October. Youth Groups and Clubs are welcome to register and take part in this fundraising project. Please ensure that there are more than 40 participants. 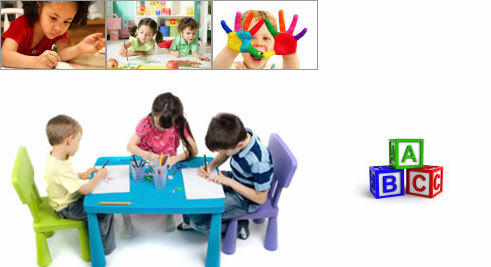 Our starter packs contain everything you need to produce your children's Christmas Cards. Each pack we send to you comes with a complete teachers and organisers instructional guide, FREE templates, sample Christmas Cards together with prices and fundraising facts and figures. We have a teachers & organisers guide available to download. The children design their own Christmas Cards on FREE templates provided by us. We will collect all the children's Christmas Card designs FREE of charge and then print a FREE sample of each child's Christmas Card design and send these back to your School or Nursery together with an order form. Family and friends can then order sets of each child's Christmas cards. Read our design tips page for more information on Children designing their own personalised Christmas Cards. Once we have all your orders and children's designs, we can then professionally print all your School or Nurseries Christmas Cards. 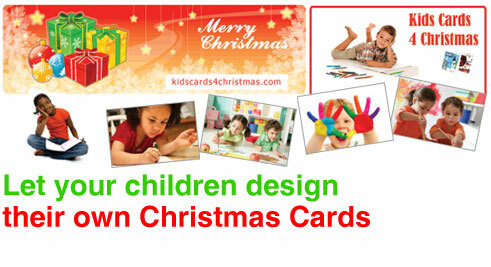 Kids Cards 4 Christmas is part of The Bluwave Group. We have been designing and printing for more than 15 years. Quality assured coupled with cutting edge design & excellent customer service. FREE delivery on all School Christmas Card packs. Help your School or Nursery raise hundreds of pounds. This is a fun project where every child can participate in this fun, creative activity. Our standard pack contains 9 cards with envelopes available at only £6.50 of which £1.50 will be retained by your School or Nursery. Our Photo Christmas Card packs are very popular. All you need to do is send us a picture of each child and we will position it on the back of the Christmas Cards. See the example below. Each photo pack costs only £8.00 and raises £2.00 for your School or Nursery. All the information you need is contained within your starter pack. Reasons for your School/Nursery to take part and join in the fun! Step by Step Guide provided, Can be used in lesson plan as part of the National Curriculum. What’s new for Winter 2010! Photo canvas prints are offered at a reduced price of £14.99 (A4) for all Schools and Nurseries participating in the Kids Cards 4 Christmas scheme this year. RRP £19.99. Contact us at time of ordering to take advantage of this special offer. Bluwave Limited provides a large range of Printing Services including Business Cards, Letterheads, Compliment Slips, Envelopes, Brochures, Magazines, Folders, Stickers, Leaflets, Flyers and much more. Copyright © 2010 The Bluwave Group.